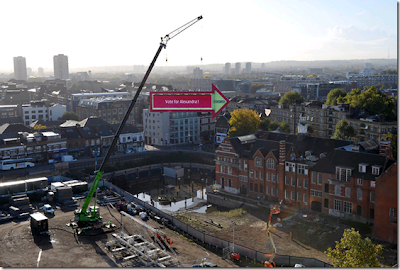 ellehermansen: Nokia Brings The World's Biggest Signpost! London, England, likes to go big - especially when it comes to creating World No.1s, sizewise. From the world's biggest mistletoe at Heathrow, to the new and wonderful idea that Nokia has created close to the London Bridge, making GPS fun and exciting for the whole world to see! You can even catch a live glimpse of the sign via webcam to see what people are texting of great places in the UK! I'm giving credit to Endoplasmic for this sweet find! Thank you and enjoy! Oh wow! Very good ear! So true!